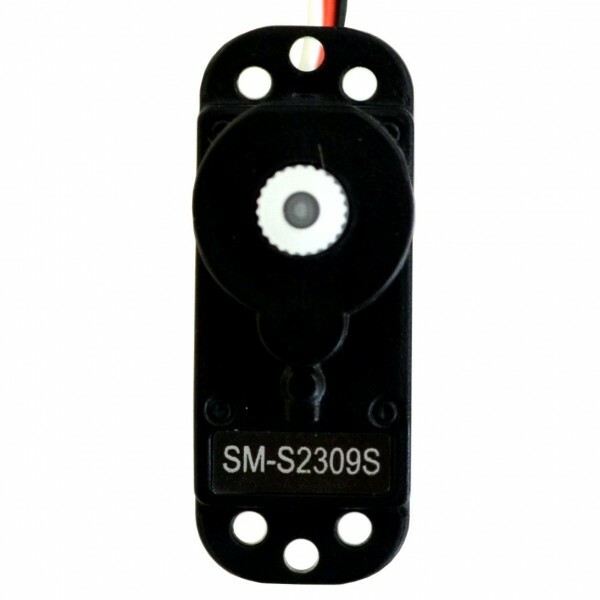 The SpringRC SM-2309S Micro Analog Servo is a small general purpose servo. It has a universal JR type connector and is fully compatible with standard servo hardware and software. This small servo weighs only 9.9 grams and is pretty strong for its size. The arm can move 60 degrees in either direction. This servo comes with a complete set of servo horns and screws.